The Phaiser BHS 730 are incredibly high quality Bluetooth earbuds you can find on a budget. It is equipped with 8mm acoustic drivers that are capable of creating accurate high-definition sound with powerful bass, and feature bullet-shaped comply T-400 M memory foam tips to provide the best comfort while reducing external noise. These earbuds are designed for you to easily wear them around your neck without causing any pull or drag on your ears. 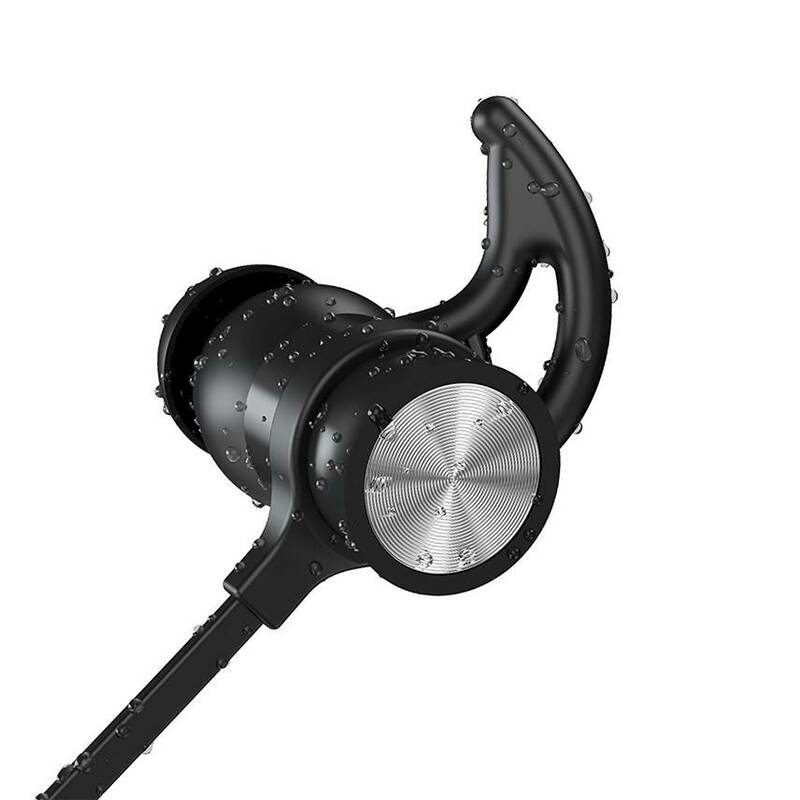 They are also designed to be sweat proof and protected by a special coating on the earbuds for workouts and exercise. 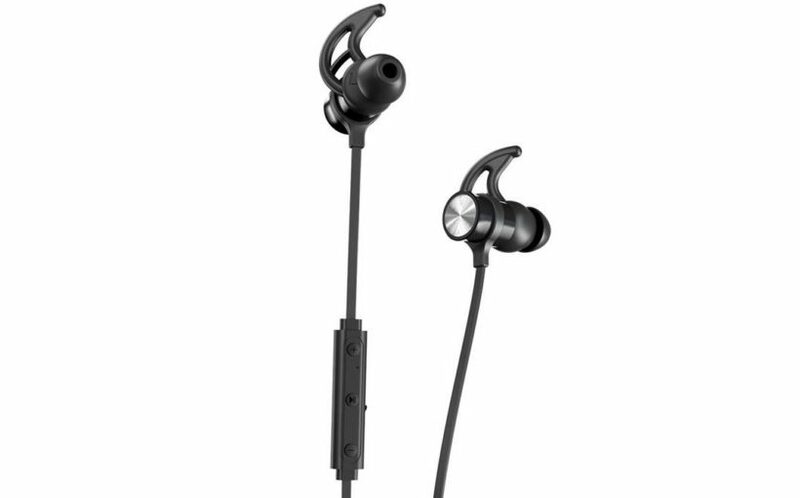 The BHS 730s also come with winged ear tips to hold the earbuds in place during exercises. These earbuds also feature the latest Bluetooth 4.1 technology for seamless wireless music streaming. Overall, the BHS 730s are some of the best earbuds with excellent Bluetooth connectivity available at a very good price and we highly recommend them. The Pros. The Phaiser BHS 730s have very good sound performance that are well worth the investment. They produce very crisp and detailed sound with distinct midranges, and have a nice bass impact that feels punchy but not overwhelming. It is also equipped with the latest Bluetooth 4.1 technology and has a nice battery life of up to 5 hours per charge. The Cons. The Phaiser BHS 730s are not audiophile quality earbuds but does deliver good sound performance which is good enough for gym and sports use. The micro USB charging port can be a little flimsy so be sure to handle it with care or you might risk damaging the port while plugging in a micro USB cable. The sound performance of the BHS 730 is really very good and well worth the price. 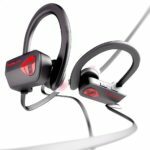 The earbuds are specially designed to be noise isolating which means that you can easily hear your music without any distractions from background noises. Music performances on these earbuds sounded nice and crisp, with a decent amount of bass response and detailed midrange. While the BHS 730s are certainly not audiophile quality, they do a decent job at delivering good quality sound which is pretty amazing considering their small and compact size. We were able to hear music clearly from the BHS 730s while exercising at the gym and doing outdoor workouts without any issues. They can also easily go up to close to maximum volume without any sound distortion. Overall, the sound performance of the BHS 730s definitely exceeded expectations considering its budget price. Where the BHS 730s really shines is its comfortable design. These earbuds had silicone tips with winged ear-tips that had a very nice and snug fit around the ears. 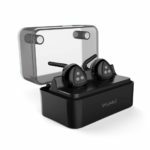 We were pleasantly surprised at how well these earbuds managed to fit around the ears securely and tightly, and reduce ambient background noise at the same time – it will drown out normal conversation noise and vehicle noise when worn using the foam ear tips. Furthermore, the BHS 730s come with a nice assortment of ear tips to choose from for you to get the perfect fit in your ears. It also comes with two extra sets of ear hooks for you to make adjustments where necessary. These bluetooth earbuds also feature magnets for keeping them secure around your neck when not in use, which is a nice added touch. The battery life on the BHS 730 is around 5 hours of continuous music playtime, which is pretty good considering the size of these earbuds. The charging port on the BHS 730s is located on the right earbud which swivels up to reveal a micro USB port to plug into an electrical outlet. The Bluetooth connectivity on the BHS 730 is very intuitive and easy to use. You can connect your mobile device to these earbuds by simply turning on the Bluetooth connection and it will pair in a matter of seconds. Since these are Bluetooth 4.1 enabled, they will automatically connect to your mobile device once you switch them on. The Bluetooth connection on these earbuds is stable and we did not experience any dips in sound quality. There are also inline controls on the BHS 730s which are simple and responsive – the button controls allow you to adjust the volume, play/pause or skip soundtracks. The BHS 730s also come with an integrated microphone for you to take hands free calls while working out. The Phaiser BHS 730s incredibly well-designed Bluetooth earbuds that are built to survive rigorous workouts while delivering a seamless music experience. The sound quality on these bluetooth earbuds was crisp and detailed, and can get loud enough without any distortion. It also comes with Bluetooth 4.1 connectivity for a fast and stable bluetooth connection to your mobile device. The earbuds are extremely comfortable to wear, and also feature sweat-proof and water-resistance which is perfect for gym or outdoor use. At the time of writing, the BHS 730s are now selling at a very good price, so don’t forget to check them out!